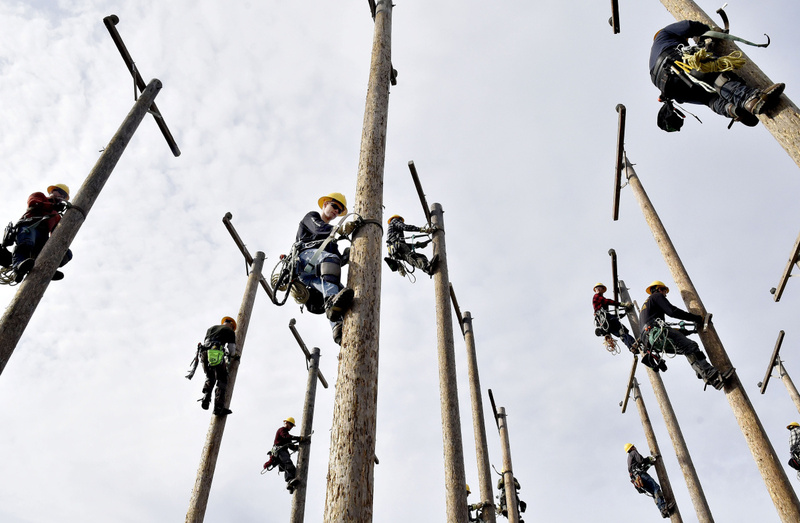 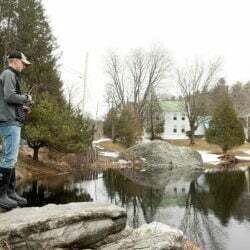 Brody Porter, center, a student in the Electrical Lineworker Technology program at KVCC in Fairfield, scales a utility pole with other students during an open house on Wednesday. 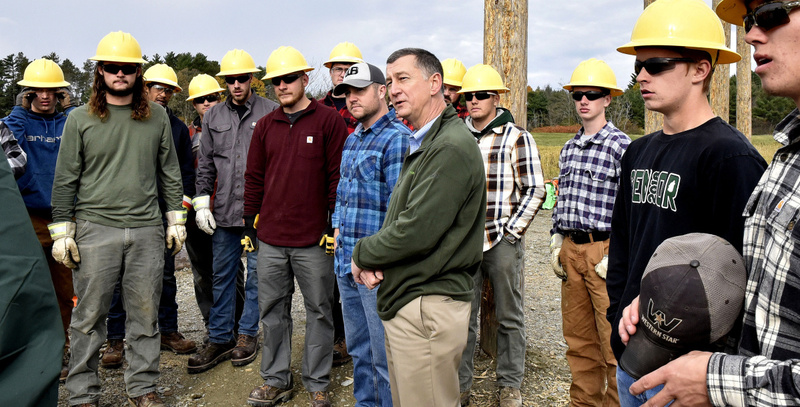 Derek Langhauser, left, president of the Maine Community College System, speaks to students and staff of the KVCC Electrical Lineworker Technology program during an open house in Fairfield on Wednesday. At right are Avangrid Networks CEO Robert Kump and CMP President and CEO Doug Herling. 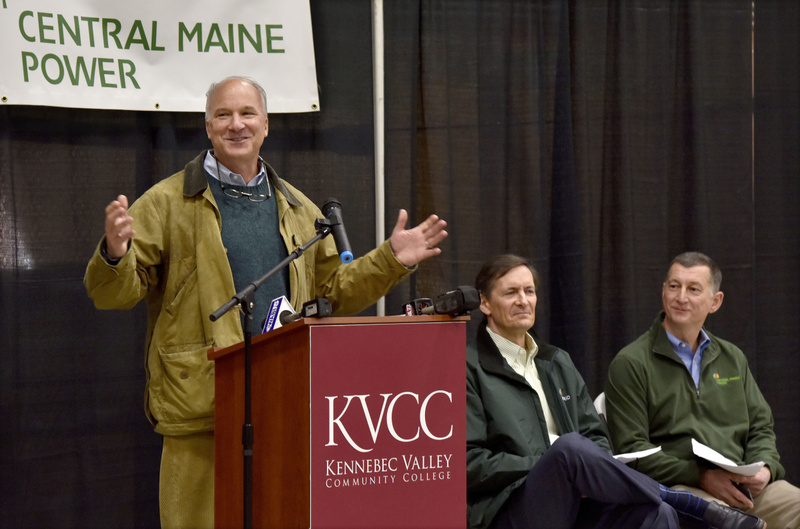 Doug Herling, center, president and CEO of CMP, addresses students in the Electrical Lineworker Technology program at KVCC in Fairfield on Wednesday. 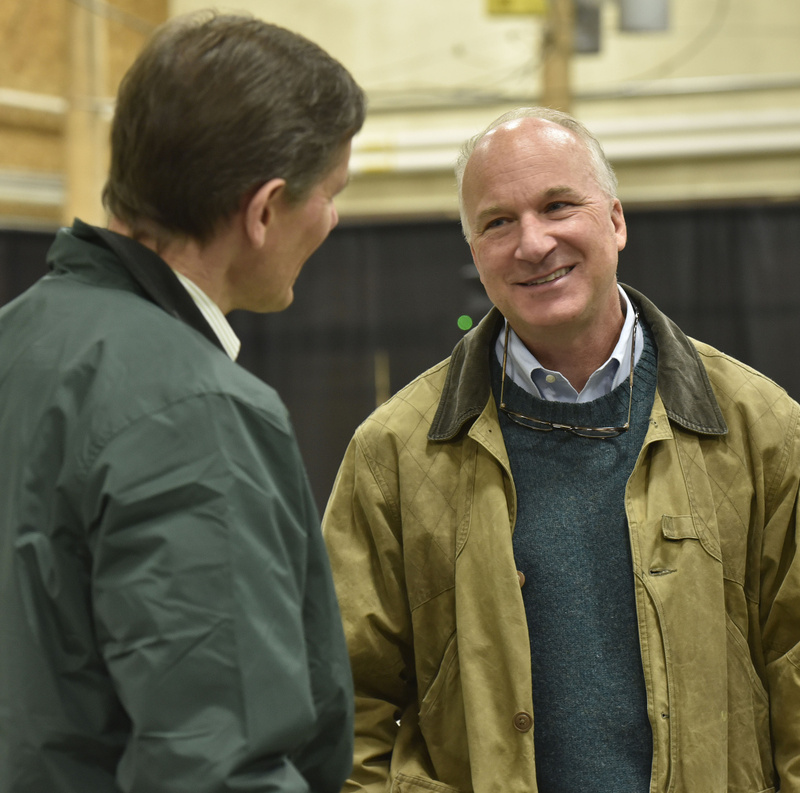 Derek Langhauser, left, president of the Maine Community College System, speaks with Dwight Littlefield during an open house in the expanded Electrical Lineworker Technology program at KVCC in Fairfield on Wednesday. 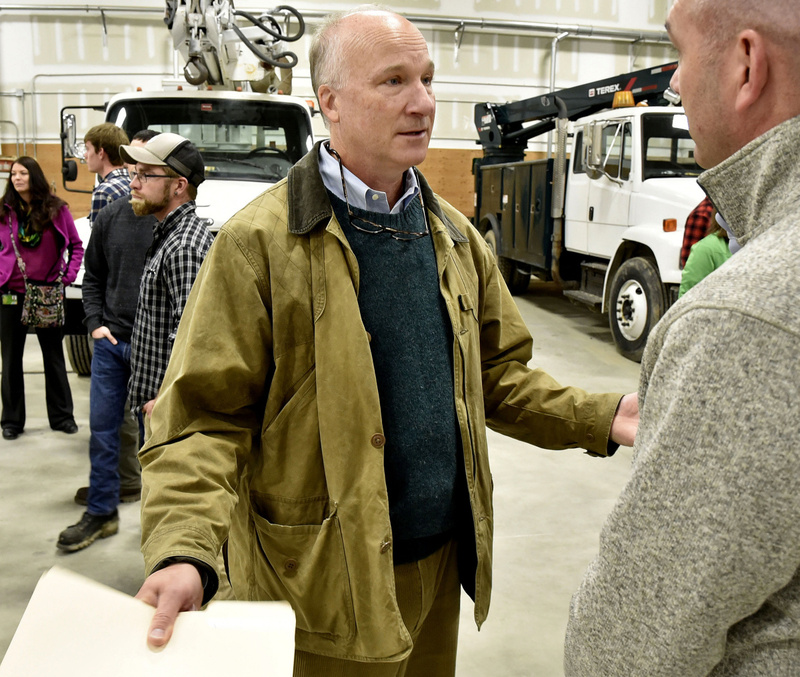 Derek Langhauser, right, president of Maine Community College System, speaks with Robert Kump of Avangrid Networks during an open house at KVCC in Fairfield on Wednesday. 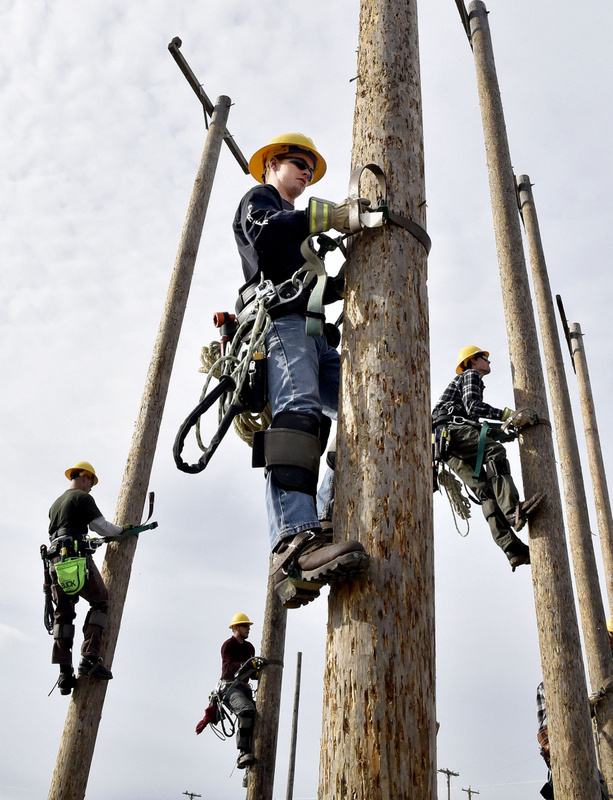 Mike Giles, right, of On Target Utility Services company in Gardiner, speaks with students in the expanded Electrical Lineworker Technology program at KVCC in Fairfield during an open house on Wednesday.